And so, I am re-posting this piece from one year ago, in the hope that maybe more people will read it. Or maybe someone will re-read it, and see it in a new way. Or someone will read it and choose to leave me be. Because as I mentioned earlier, I am feeling Grinchy. Monday was a great day; in the morning I went with my work partner and friend to look at a senior center where we might offer memoir writing classes. Afterward, we went to a pleasant coffee shop to have a drink and talk. Then my friend showed me a great used book store–the kind I like, a real rabbit warren of a place. The only thing missing were creaky, wood floors and bookish tweed-wearing clientele in dark corners. We asked for art books, and the woman running the place, a short, plump woman with grizzled gray hair and an open face, showed us where they were. When I was paying for my books, I got into a conversation with the bookseller that I wish had never happened. The Roosevelt Field Mall on Long Island had changed up its traditional mall Santa photo area, and instead of trees and elves and icicles and candy canes, there was nothing but Santa and a futuristic sort of clam shell, intended to be a glacier, to block out all the shops from the photos. The comment thread on the article I read was full of angry customers talking about how ridiculous this was, and they were all suggesting in indirect and direct ways that “people” had complained about the traditional set-up, and that’s why this horrific change had taken place. As someone who doesn’t celebrate Christmas, I’m well aware of who these “people” are they’re talking about. One guy just went ahead and typed, “Keep the Jews out of Christmas!” Clearly, this man does not know too much about his messiah. And that’s really the part of the story I wanted to talk about, because it was funny–about the guy who doesn’t know Jesus was Jewish. “Actually, I don’t think so,” I said. “It was just some odd corporate decision to have this sleek, modern Santa setup.” I hoped I was right. If Christmas weren’t an important holiday economically, I’d be a big fan of getting the whole thing out of the mall, out of my kids’ schools, out of public spaces generally. It’s hard for December revelers to know what it’s like to be so inundated and overwhelmed with a religious holiday not their own. And so very many people don’t treat Christmas as the religious holiday it is, so they don’t know why their nativity scene is a bother. Because they see it as an American holiday rather than a Christian one, they are frustrated by anyone’s no-Christmas-in-public-spaces stance. And if it’s an American holiday, where does that leave American Jews, American Muslims, American Hindus, American Buddhists, and all the rest of us? I like many things about the holiday; some of the music is lovely. I like that it makes my Christian friends happy. I like looking at over-decorated houses. In New York, I always enjoyed walking past the tree sellers and deeply inhaling the sweet pine scent. It always felt even more special somehow if there was snow on the ground. People were cheerful; my office was full of treats homemade and mailed in, and I was invited to parties. I also like to pick special gifts for the Christmas-celebrating folks I love. But at no point do I forget that the holiday celebrates the birth of the Christ child. And that’s why “Merry Christmas” is annoying, even if it’s well-meant. Try to imagine how you might feel if it seemed the entire world was celebrating a Middle Eastern-style Muslim holiday; everywhere you went, from Target to the drug store, even the vacuum repair shop, the library, school, the office, the walls were decked with Middle Eastern decorations. America is Muslim, and you are the Christian minority. Every time you went shopping for anything, you would have Middle Eastern holiday music in your ears. This music would burst forth from loudspeakers on mosques and masjids all over your city, on the hour. Everywhere you went, people would wish you “Eid e Milad un Nabi!” Sounds interesting, actually. Year after year, though, as you waded through this tsunami of exclusion, you would begin to resent it. You might even say, “what about my holiday?” And then you might inflate a minor holiday on your calendar in an effort to combat your sense of drowning. You could get decorations for your holiday from niche market internet stores and be the lone house on your street decked out in the wrong colors. You would try to make this minor event exciting for your kids so that they felt less excluded, so they could feel good about the traditions from which they come, so they would not feel crappy about not being a part of the culture of their country. I said nothing. What could I have said? “Uh, I’m Jewish”? I took the books I had already paid for (I dropped $47 in that goddam place) and walked out, saying nothing. I got back into my car, and as I moved down the road, I realized I was in shock. I felt as though a stranger had walked up to me on the street and slapped me in the face hard enough to bring stinging tears to my eyes. 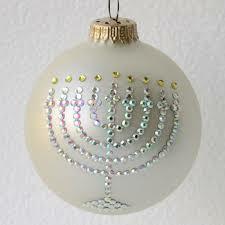 I am used to reading anti-Jewish sentiment online, particularly as December approaches. But as much as I am aware of antisemitism, I have rarely had anyone say something so directly hostile to me about Jews. I’ve had people make stupid jokes and comments, and ask poorly worded, ignorant questions. But that is nothing to having someone look right at you and blame you for something–in a voice full of derision. I have talked to my kids about white privilege, about the issues African American (and other non-white) parents worry about while their children are out and about, things that we do not think about. I have talked about the injustice of that, have tried to make them understand that encountering the world is different for different people. And I think they get it. But only as much as one person can understand someone else’s experience. There’s no denying that this country has been far better to my people than most other places around the world; one might argue that it is still the safest place on earth for a Jew to live. The time when people put signs in the window telling Jews, Irish, and Blacks not to apply (for the job or apartment) has passed. There’s no sign in the window. Now it’s a secret. Jewish people live with the secret every day. It doesn’t compare to the experience of a brown-skinned person in America, though. Most Jews (except Jews of color) live safely cradled by their white privilege. They don’t fear that their sons will be shot by the police for no reason. They don’t get followed around stores as though they were criminals. Getting a taxi isn’t a big deal, except at rush hour. They aren’t hypersexualized by the media. They don’t feel a need to live up to some notion of their existence imposed upon them by other people. They aren’t considered lazy or freeloaders or welfare queens or drug addicts. Mostly, Jewish people are ignored, except in December, when American Jews insist on playing up that pesky little festival, Chanukah. We are invisible. My husband used to find it very funny that I didn’t think of myself as white. But it is this list that makes me say so. Reasons to hate us are about the same as the reasons to hate the other groups; stereotypes, fears, ignorance, and intolerance are layered on top of one another so that such people walk around in a shell of their own stupidity so thick that knowledge actually just bounces off it. And of course, our presence means lots of annoying and hypocritical “holiday” parties and “holiday” trees and the like. Sometimes someone will mistake me for a white person and say something derogatory about blacks. They think I’m in on the joke, but the truth is, I am the joke. I have thought before that I would write about being a member of an “invisible minority.” A man wearing a kippah is a man showing the world to what group he belongs. But for most American Jews, there are no outward signs. Unless you believe we all have big noses and bad hair. So people disparage us right to our faces; most would probably not say anything hateful if they knew who they were talking to. This kind of racism scares me because it is in hiding. And it’s terribly hard to fight what you cannot see.